1. 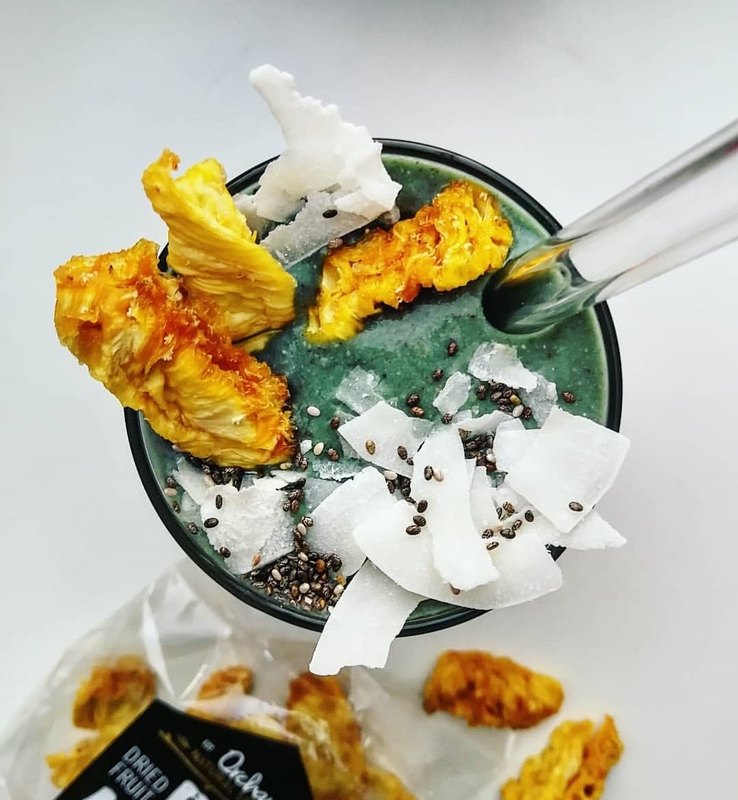 Place all ingredients into a nutribullet or jug blender and blend until smooth, top with chia seeds, coconut flakes and dried pineapple. Note: The recipe is simply a guide, on thing I have learnt when making smoothies is that it is very personal. I do not like very sweet smoothies, so change it up if you feel like it’s missing something for you. Tip: To make your life easier, put all ingredient except the liquid (water of nut milk) and frozen cauliflower into a jar and store in the fridge for up to 3 day or 2 weeks in the freezer.